This thing is alluringly tiny. 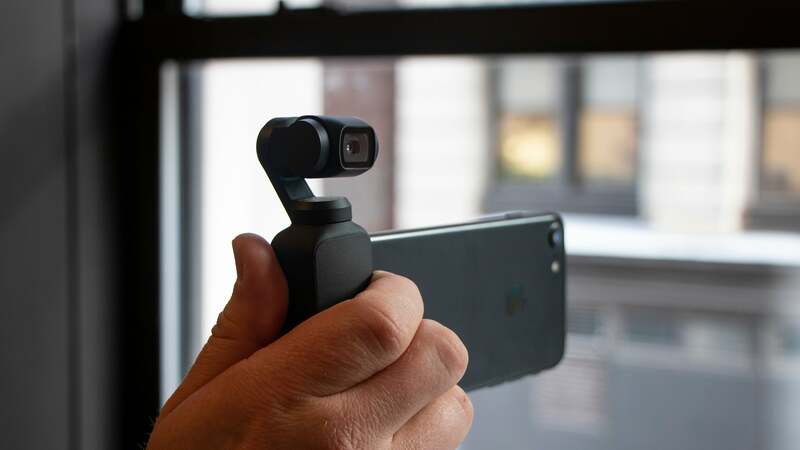 The Osmo Pocket uses an updated version of the camera seen on the DJI Mavic Air that features a 1/2.3-inch sensor that takes 12-megapixel photos and records 4K video at 60 frames per second. There’s even a cute little one-inch display on the handle as well as a couple of buttons that let you use the Osmo Pocket completely on its own. The corresponding software sounds a little too good to be true. Or at the very least, it sounds impressively complex for such a tiny camera system. Like DJI’s newest drones, the Osmo Pocket has some intelligent tracking features like ActiveTrack, which automatically follows moving subjects, and FaceTrack, which recognises faces and keeps them centred in the frame. The camera also makes it easy to do timelapse videos as well as DJI’s signature Motionlapse videos, which adds an element of movement to a traditional timelapse video. Other abilities include an FPV mode that sort of disengages the gimbal for a more lifelike perspective and a couple of panoramic modes for, well, panoramic images. Although we did get a few minutes to try the DJI Osmo Pocket ahead of the official announcement, we haven’t seen a lot of these features in action yet. It’s definitely very small and very neat-seeming. 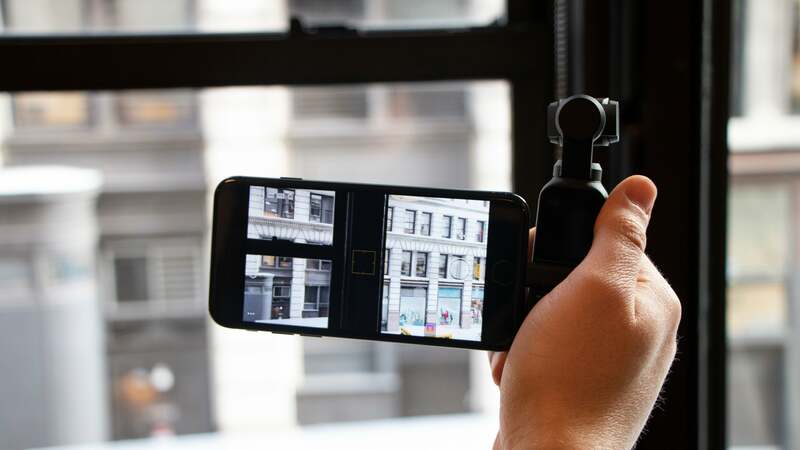 But in a lot of ways, it seems like the Osmo Pocket offers big promises in a small package—so much so that all of these cinematic magic tricks might not be so easy to pull off in practice. Then again, DJI has a strong track record of innovation in gimbal-mounted cameras, especially the ones on its drones. If the Osmo Pocket really is just a Mavic Air camera on a stick, that might be pretty cool! We’ll reserve our judgements for a full review, however. The Osmo Pocket costs £329 and is available for pre-order now. The cute little camera systems will be widely available on 15 December, just in time to capture video of Dad crashing his new drone on Christmas morning.